« JibJab on the Jumbotron! 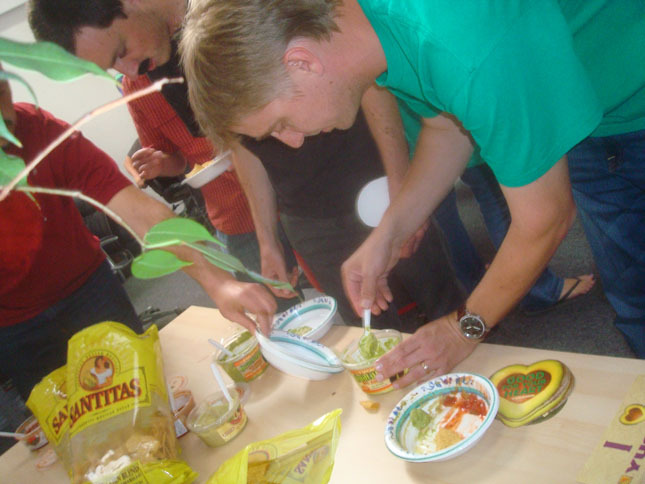 JibJab’s Wagon Wednesdays have become so infamous that we were recently approached by our friends at Yucatan Guacamole with interest in having our wagon sponsored! 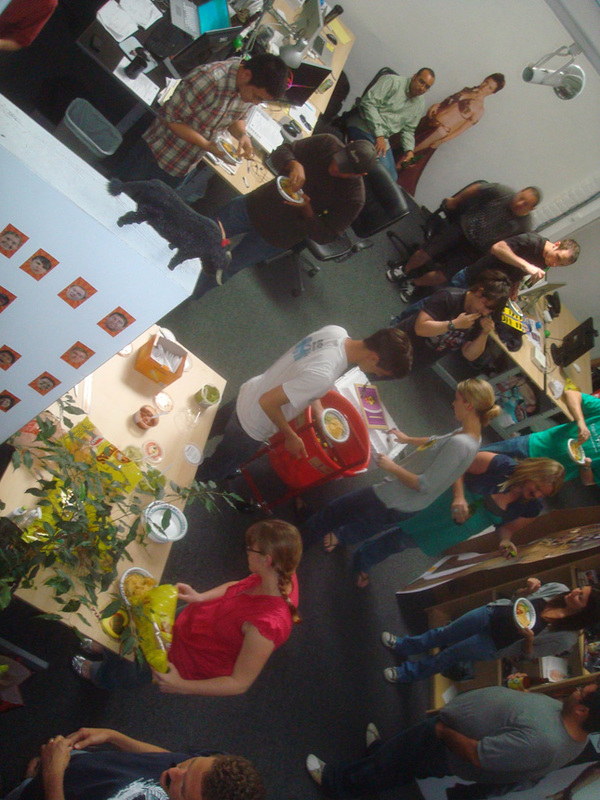 The words “free guacamole” were too powerful to resist and today we had a party complete with mustaches, chips and music provided by the group. We even live streamed it on Justin.TV. 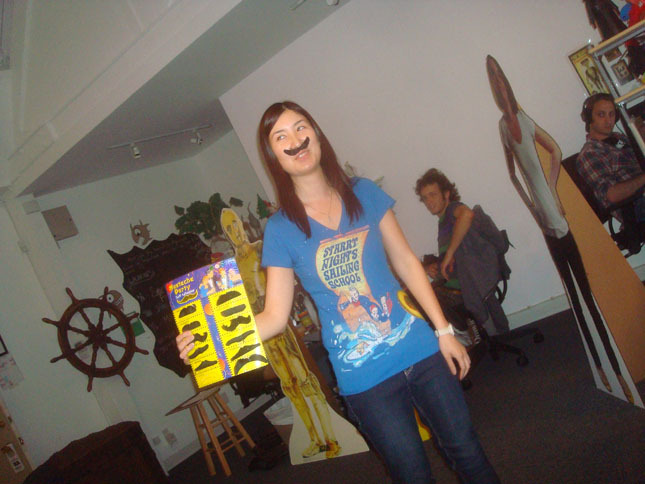 Amy passes out the mandatory mustaches. This entry was written by paulhanges and posted on June 2, 2010 at 5:12 pm and filed under Freebies, Friends. Bookmark the permalink. Follow any comments here with the RSS feed for this post. Trackbacks are closed, but you can post a comment. hahaha that’s so awesome! the work place look so cool! I see skyler and ryan! !